Organic vegetable gardening is a great way to provide good, healthy food for you and your family at a low cost. Granted, there’s more to it than simply planting a few seeds. You need to provide good, healthy soil, be vigilant about the pests that inevitably attack any garden and provide plenty of TLC and daily watering. But considering the health benefits that quality food brings, and the satisfaction that goes along with growing your own food, it’s well worth the effort. You’ll find organic vegetable gardening especially rewarding if you try your hand at potatoes. 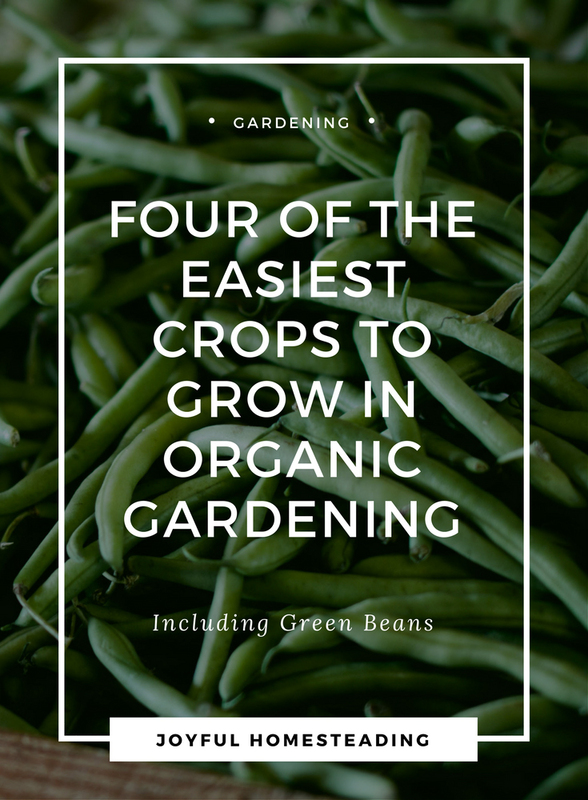 These are some of the best and easiest vegetables you can grow, and while potatoes at the store are relatively cheap, nothing beats homegrown potatoes. The traditional way to plant potatoes is to cut seed potato into segments that have one or two eyes (buds). Then dig a hole in your soil about a foot deep and set your potatoes in the hole, just covering them with soil. As the potatoes sprout and grow, continue covering them with soil (leaving the very top leaves exposed to the air) each time they break above the surface. Keep doing this until your hole is completely filled. This encourages the potato plants to produce more potatoes. This year I am growing my potatoes in a four-foot by four-foot frame. This year, instead of digging one-foot holes in my garden, I asked my husband to build a four-foot square frame. I planted the potatoes in the bottom and covered them with soil (leaving the top leaves exposed). As they grow, I am continuing to cover them, always leaving the top leaves exposed and adding boards to the side when necessary until they reach the top of the four posts. 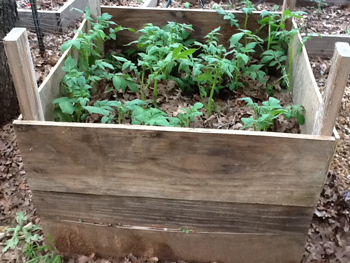 Later this fall I plan to harvest the potatoes by pulling off the boards and dumping out the soil to get the potatoes. I plan on making dehydrated hash browns out of them. 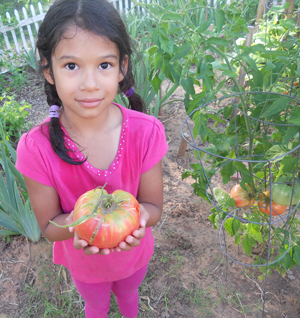 Growing tomatoes are a time-honored favorite in organic vegetable gardening because they are fairly easy to grow and because nothing beats the flavor of homegrown tomatoes. If you plan on starting your tomatoes from seed you should start them indoors a good two months before you plan on putting them outside. You will need a warm, sunny place. We once lived in a house with radiant heaters, and I had great luck starting tomatoes from seed by growing them in a sunny window right over the heater. I couldn't imagine having an organic garden without a few tomato plants. If you don’t have a radiant heater, you will need a seed heating mat. Tomato seedlings really like warm soil and lots of light. Once the danger of frost is gone, plant them outside and give each plant about four square feet of room. When you plant your tomatoes, put them in deep - up to the first true leaves - to encourage a better root system. Try to water them evenly, meaning about the same amount each day, and try not to get the leaves wet. One gardener I know who does very well, digs a hole near the roots of each of her tomatoes and then fills that hole when she is watering. Give your tomatoes too much water, and you’ll get green, leafy plants but no fruit. On the other hand, if you water them unevenly - a little today, a lot tomorrow, the bottom of your tomatoes will rot before they can fully ripen. When your plants get to about two feet tall - or when they begin putting out tomatoes - put cages around them. This will give them support so the limbs don't break when the heavy fruit puts on. Occasionally patrol your plants for pests. Armor bugs particularly love tomatoes. Pick them off and squash them or feed them to your chickens. We also have a problem with blister beetles in our neck of the woods. Make up a spray of water, vinegar and dish soap and spray this on your tomato leaves and this will drive the blister beetles away. 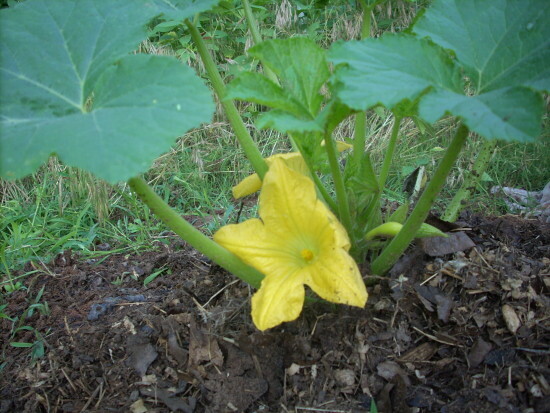 Squash is another favorite of organic vegetable gardening because it is so easy to grow and really produces. If you keep fish in an aquarium, save your dirty fish water to water your zucchini. The dirty fish water makes a great, natural fertilizer your squash will love. 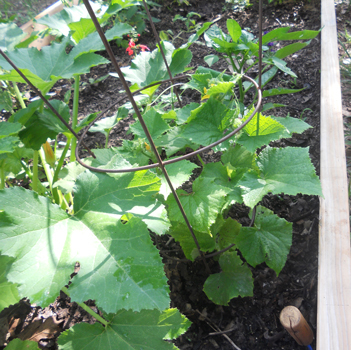 If you decide to grow squash, you should check the underside of the leaves daily for eggs. One challenge of organic vegetable gardening are finding a natural way to combat pests. Squash are frequently a target for squash bugs, insects that lay eggs on the underside of squash leaves. I have to check the leaves of my squash every day and be sure to scrape off these eggs (they are small, brown and are shaped like tiny footballs. If they are allowed to hatch, these pesky bugs will devour my squash plants before they get the chance to produce any squash. These are also easy to grow and are an essential part of any organic vegetable gardening effort. There is nothing better than fresh green beans picked from your own garden. Like everything else in your garden, you will need to inspect your green bean plants daily to make sure nothing is eating it. If you start finding holes in your leaves, make up a mixture of water, vinegar, dish soap and cayenne pepper. Spray these on your leaves regularly and especially after a rain. This will discourage insects from eating your bean plants. I like growing bush beans because they don’t need to be staked, but if you are willing to put up stakes, pole beans will produce pods over a much longer period (six to eight weeks). Related article: Building raised garden soil the easy way.